Items in the Camo Collection have all of the features and benefits of our standard black chokes but with a camouflage hydro dippedfinish applied to them. 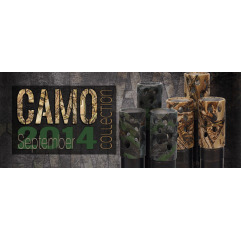 The Camo Collection is currently limited to 12g chokes. For High Flyer chokes, the pattern is mostly tan. Camo Collection There is 1 product.